Papa John’s announced on Friday morning a new board member: Shaq. In other words, Papa John’s is making Shaq the new face of the brand. And Papa John’s desperately needed a new face. The company spent $50 million last year to scrub founder John Schnatter’s face from various corporate logos, trucks, and pizza boxes. Schnatter resigned as Papa John’s CEO in December 2017 after making comments on an earnings call about the NFL player protests. He remained chairman of the board until July 2018, when he resigned as chairman after reportedly using the n-word on a conference call. He soon regretted that decision and fought his own company for months, right up until earlier this month when Schnatter gave up his board seat after reaching a settlement with Papa John’s that it would not replace him with someone chosen by activist hedge fund Starboard. Schnatter still owns 33% of the shares. Papa John’s stock is down 15% in the last 12 months, but up 4% on Friday on the Shaq news. 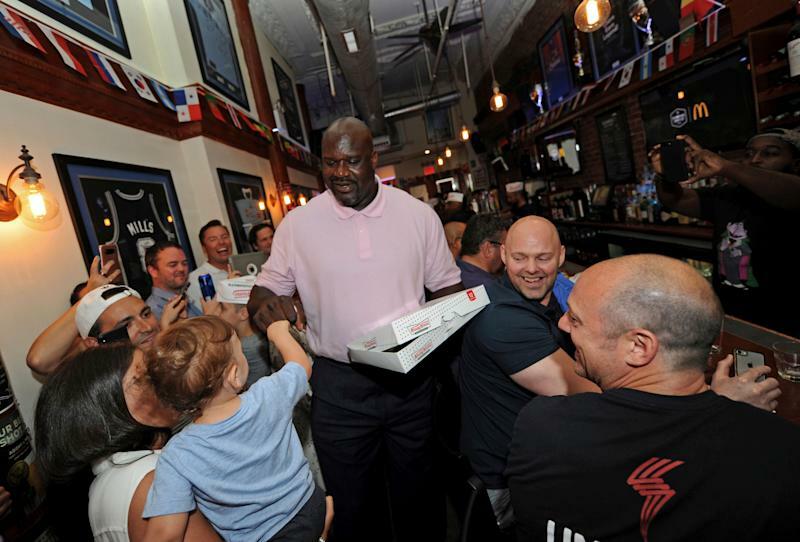 The Louisville, Ky.-based pizza company expects to pay Shaq $8.25 million over three years, according to an SEC filing – and he could be well worth it if he can help rehabilitate the brand’s image. But Shaquille O’Neal is a particularly savvy choice for a new ambassador. Shaq is a unique endorser, deeply valuable to the brands he reps because of his commitment. In 2012, Shaq started an annual tradition of bringing together executives and sales reps from all the companies that he endorses, all in one room in Atlanta, where he asks them what more he can do for them. Shaq is a franchisee and ambassador for Krispy Kreme and previously was a Five Guys franchisee. He has appeared in ads for Carnival Cruise Line, Gold Bond, Icy Hot, and National General Insurance. Papa John’s will now hope that Shaq can bring the same marketing magic to its damaged pizza brand. Daniel Roberts is a senior writer at Yahoo Finance, covering media, sports and tech. Follow him on Twitter at @readDanwrite.